A hybrid electric vehicle (HEV) is a car that adds an electric motor and a battery to an existing internal combustion (or, more rarely, diesel) engine. While more expensive than a standard engine-only vehicle, this setup offers several notable advantages that many people feel justifies the added cost. First, and most importantly, many hybrid electric vehicles are capable of using only their onboard battery for short trips. This means you could go for days or even weeks without consuming fuel - and it's undoubtedly cheaper to recharge a battery than it is to fill a tank with gasoline. HEVs also use a variety of energy-saving and energy-generating technologies, such as regenerative brakes that charge the battery by converting the kinetic energy from braking into electrical power. Despite the recent surge in interest, HEVs aren't new. In fact, the Lohner-Porsche Mixed Hybrid vehicle was produced from 1900 to 1905, but limits on efficiency and energy storage stopped it from being a viable competitor for the other vehicles of the time. Today, the majority of hybrid electric vehicles are coupes and sedans, though the technology is slowly spreading to trucks, buses, and other types of vehicles. Most of these vehicles fit into one of two categories. Mild Hybrid vehicles emphasize fuel economy and can't run solely on their electric motor. For these vehicles, the electric motor is typically used when the car is stopped, braking, or coasting along, and the engine is restarted whenever power is needed. This delivers an overall improvement of about 15% for urban driving, which is where most mild hybrids are used. Full Hybrid vehicles are capable of running entirely on gasoline, entirely on electric, or in a combination. Full hybrids are seen as the better of the two types because they ultimately have much better fuel economy. Despite sharing the hybrid name, Mild Hybrid and Full Hybrid are distinctly different types of vehicles. This is why you should never buy a vehicle just because it has a ""hybrid"" in the name. Instead, take a careful look at the specifications to be sure the vehicle works the way you think it does. If you end up buying the wrong type of vehicle, you probably won't save as much money as you expected to. Also, remember that Plug-in Hybrid Electric Vehicles (PHEVs) have fast-charging batters and tend to have significantly better range than Full Hybrids. If you're worried about being caught with a dead battery and low fuel tank on a long trip, a PHEV is the best way to avoid that. Listed below are the hybrid/electrics that received the 2019 J.D. Power award for highest quality, based on verified owner feedback detailing the number of problems they experienced with their new hybrid/electrics during the first 90 days of ownership. Listed below are the hybrid/electrics that received the 2019 J.D. Power most dependable award based on verified owner feedback detailing the number of problems they experienced with their hybrid/electrics throughout three years of ownership. The fewer the number of problems reported, the better. Listed below are the hybrid/electrics that received the 2019 J.D. 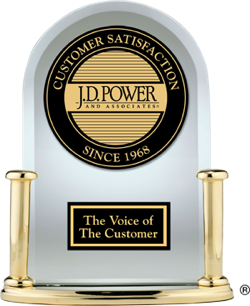 Power award for best performance based on verified owner feedback after 90 days of ownership. While the electric drivetrain changes to the new Nissan Leaf Plus certainly make this EV easier to live with, a handful of flaws keep its competitors on an EV shopper’s list. Quietly, the 2019 Hyundai Kona Electric has eclipsed the Chevrolet Bolt EV and the Nissan Leaf as the affordable electric vehicle (EV) with the most driving range per charge. After a short hour-long drive in Southern California, Hyundai’s EV impresses, and is clearly competitive with the segment leaders.